We’re hurtling towards Christmas at lightning speed but one more month down brings another fantastic collaborative project for the Computer Arts magazine cover. November’s edition (issue 285) of the magazine, which offers insight and inspiration for the design community, was dedicated to celebrating the United Kingdom and all its great design. 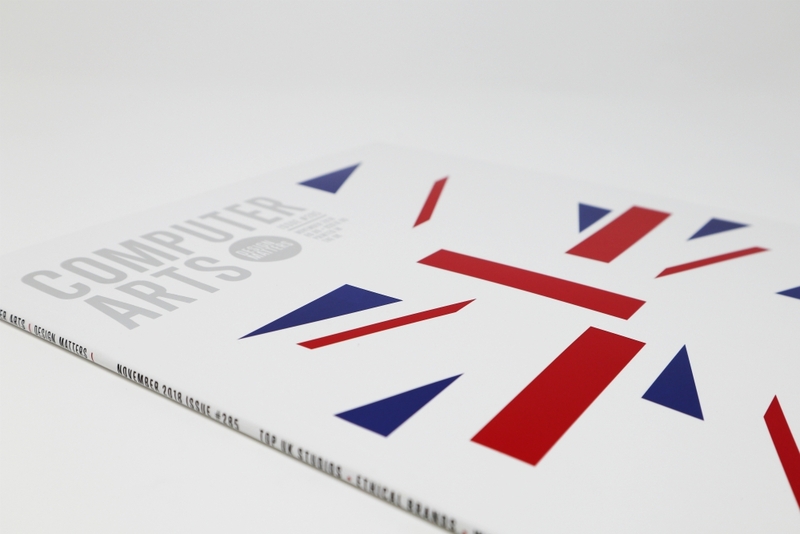 And what better way to encapsulate that than with the shapes of the Union Jack flag? We finished the cover with a coating of soft touch varnish applied on our Heidelberg high-speed coater, which runs 15,000 sheets per hour. This soft-to-the-touch finish has a matt appearance and works best with a gloss spot UV to result in striking contrast. 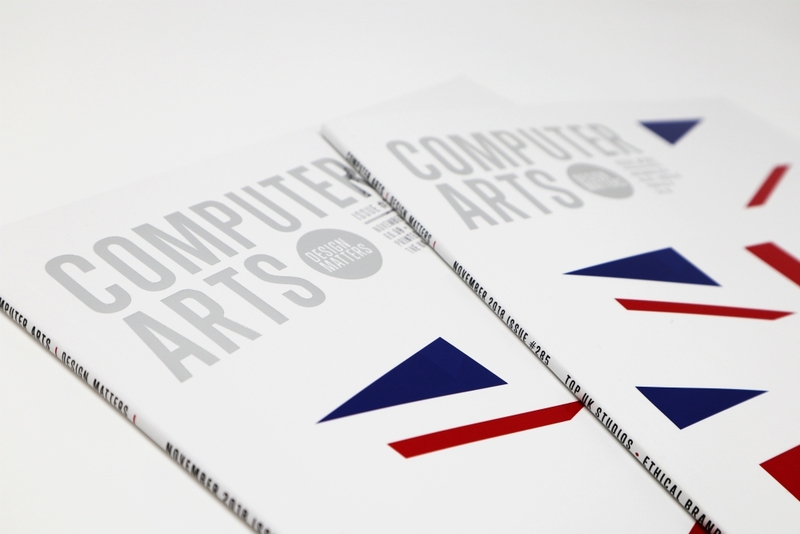 We used spot gloss UV varnish to accentuate the design and highlight the shapes of the flag. The raised effect of the cover title was created using the foil blocking technique and satin silver foil. Foil blocking is a great choice for a print finish largely thanks to metallic foil’s premium, luxurious qualities. The foil is applied to the substrate before a heated die is stamped on to the foil, leaving its design behind. The November cover wraps up another year of Celloglas’ work with Computer Arts and we’re looking forward to more creativity and innovative design in 2019. Intrigued by our partnership with Computer Arts? Head over to YouTube to see how we produce the covers of the publications.